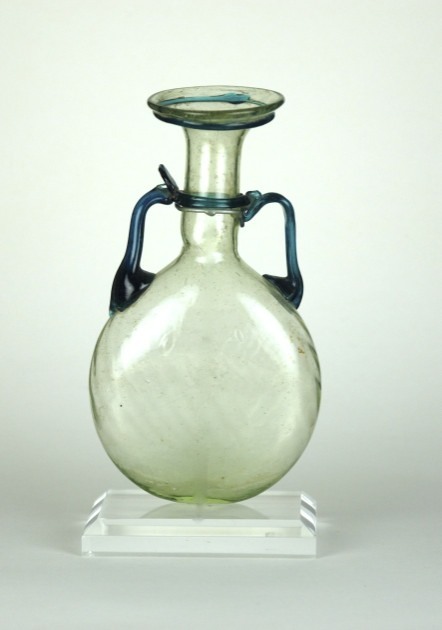 Polychrome and strongly colored glass were common throughout the Roman period in the glass-making industry. 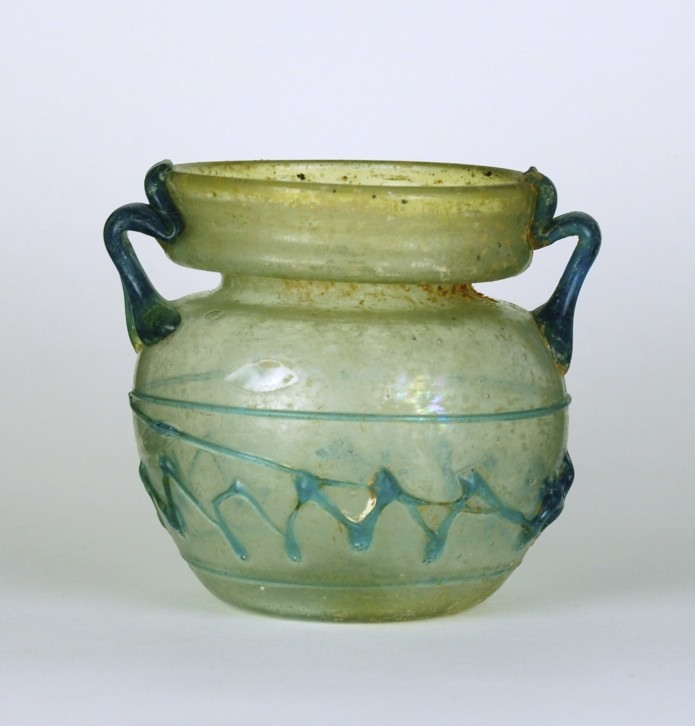 Shortly after the discovery of glass-making Roman workers began decorating their vessels with trails and blobs of glass. 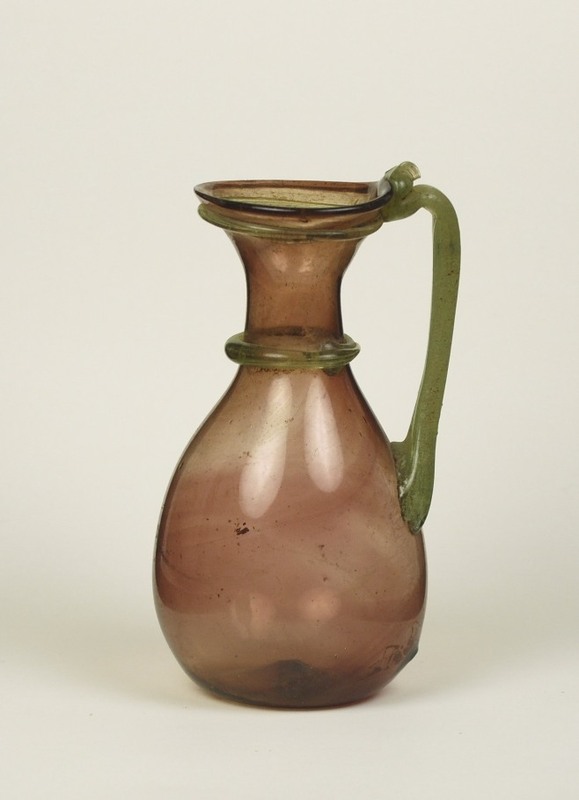 In some cases, to improve aesthetics they chose contrasting glass colors to show off the handles or to display decorative trailing. 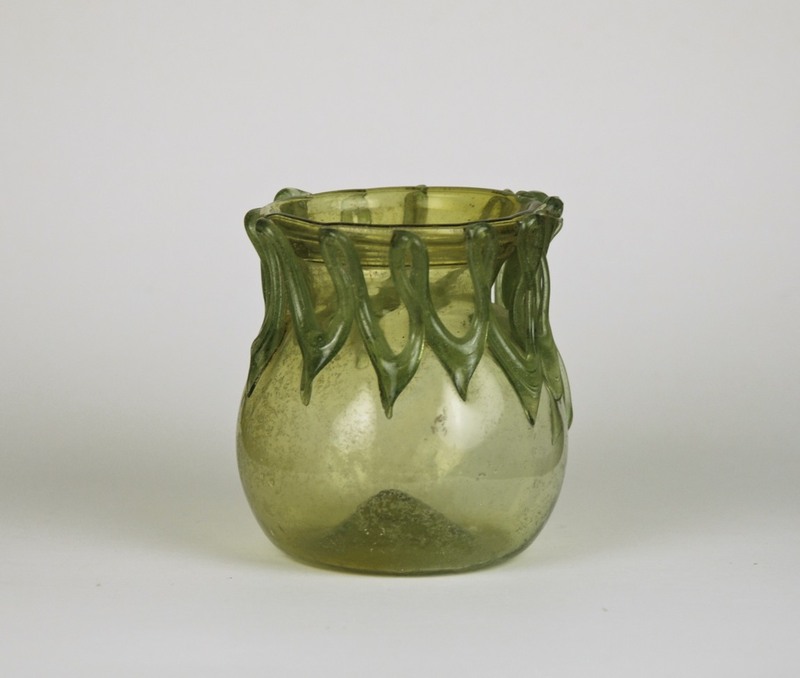 During the manufacture of a vessel and while it was still hot the maker dropped a molten glob of glass upon the body where it was drawn out into patterns or applied as a handle. 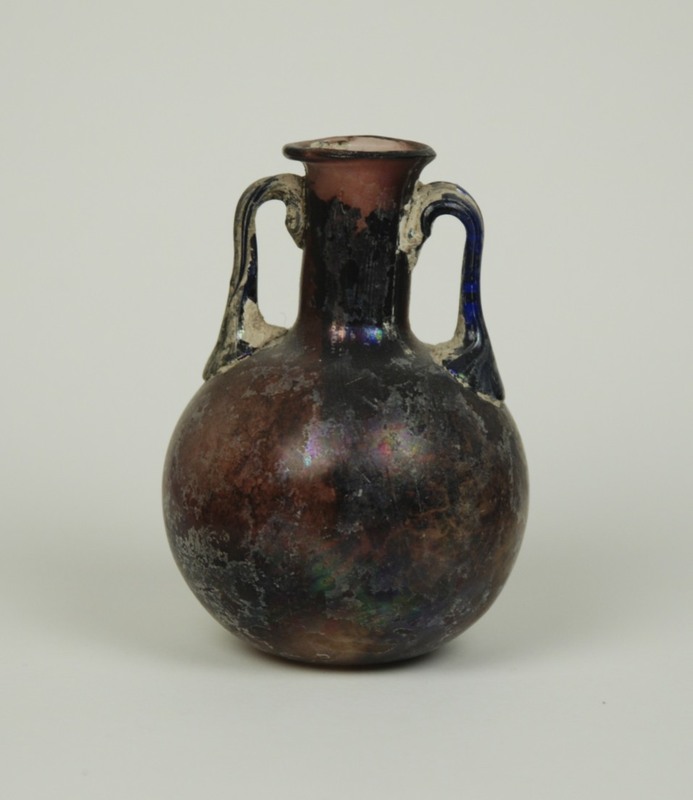 The most common examples show trailing the same color as the vessel itself but the more interesting ones exhibit contrasting, intentionally colored detailing on the body. 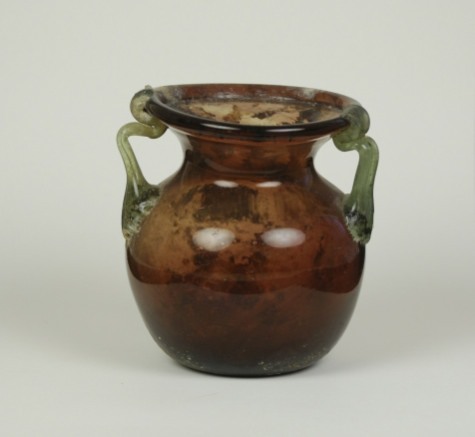 The following pictures show examples from our collection to illustrate various styles of vessels decorated with contrasting colors of glass. 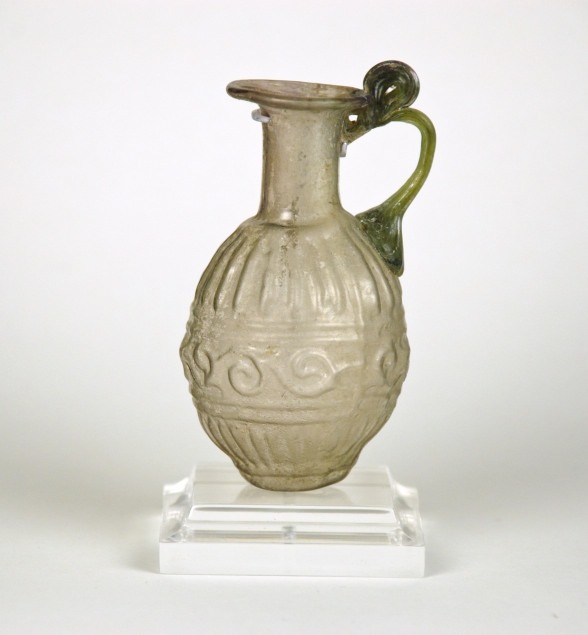 All of these examples are from the Roman Period. Click on the photo to enlarge. 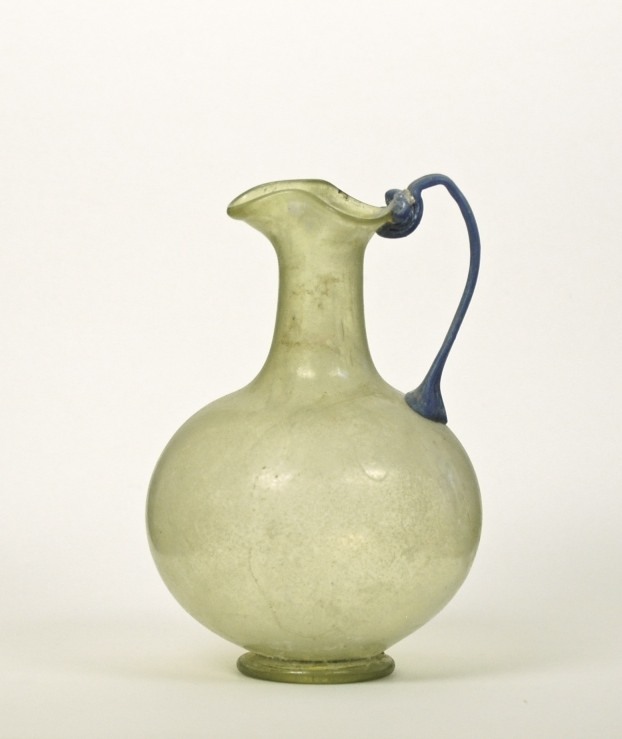 Read the write-up for each glass bottle by looking up the number with the letter (A,E, or R) in the search bar. Search Bar is found on the right side at the bottom of, “The Pages”.